The Visual Arts Library has around 400 current periodical subscriptions. Everyday, from all around the world, by way of delivery services private and socialized, at least a few and sometimes a shining heap arrive at 380 2nd Ave.. Following are the covers of two magazines that arrived today. I think are they are sharp. First, Novum and its World of Graphic Design, a title for which we have holdings dating back to 1950 when it was called Gebrauchsgraphik: International advertising art. 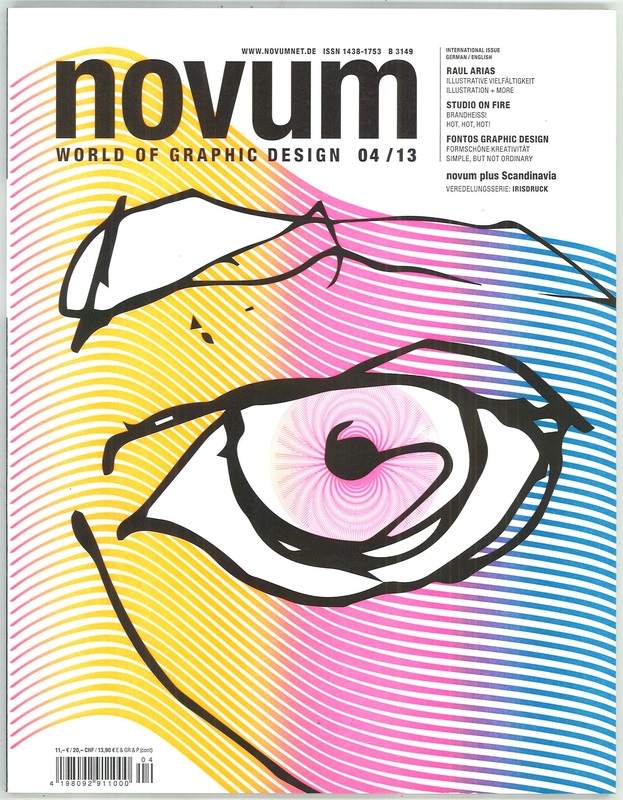 For the cover of this month’s novum we chose the mold made paper ZERKALL LITHO VI (270 gsm) with 75% cotton. Further information: www.zerkall.com. Marco Bölling realised the motive in letterpress and iris printing www.boelling.com. Second, we have School Arts, an art education title that we have going back to 1992. The piece is a product of a high school studio lesson designed and delivered by Caroline Nay. The work itself is by Dan Prach. 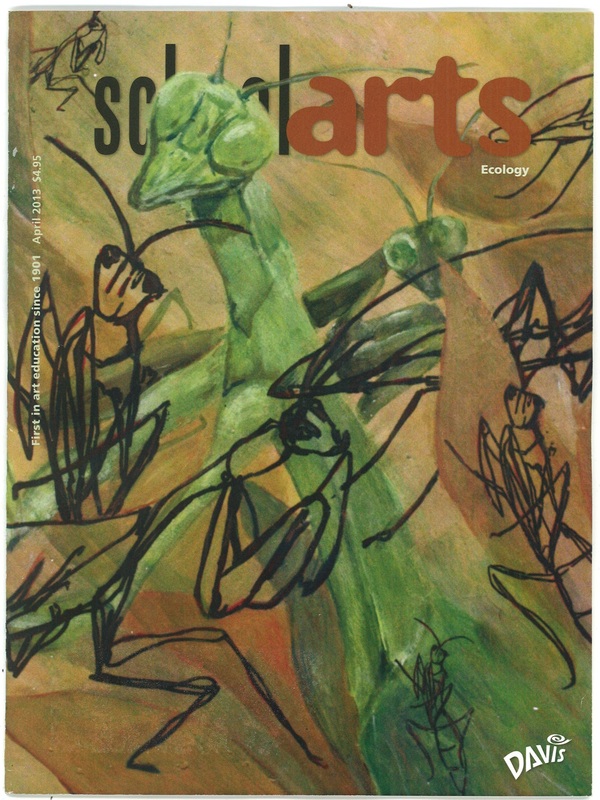 The lesson is fully explained in the magazine, but involves either a botanical or animal subject, and features contour line drawings transferred onto a base painting. Very sharp.